Why did you open the doors to your business? Today's business owners often say it's because they want to make a difference, fill a need, solve a problem, or support their community. There's little doubt that business ownership isn't just about making money; it's about making a difference. What role will your business play in supporting, molding, and developing our community? That's left up to your goals. Our members make a difference in many ways. There are countless ways and opportunities to support our community, give back, or open doors for those living here. We've seen members take on incredible challenges or offer simply support. Your business is already doing so. For example, you're creating jobs for the community, which ensures that people can find a way to support their families and to work towards reaching their financial goals. Sometimes, the jobs our members offer can provide new opportunities not otherwise present in the community. Our members also empower their employees. Imagine the opportunities to learn, grow, and expand. Some help to support the educational goals of their employees by supporting flexible scheduling, tuition reimbursement, or continuing education access. This can change the future path of an individual, allowing that individual to achieve his or her goals. Many times, they come back to the community to use those new skills to better it as well. It's comprehensively worth the investment from all sides. Our members also contribute to the positive culture of the community in many ways. As an independent local association, we help facilitate opportunities to do this by communicating needs. However, many of our members find ways to contribute on their own. They may help to support a sports team by contributing financially or purchasing uniforms. They may help to sponsor an event taking place to raise money for a charity. Though some do so through well-recognized events, festivals, and programs, others do so behind the scenes. They contribute because they believe in supporting the efforts of the organization, residents, employees, or just the community as a whole. Some entrepreneurs build their businesses themselves as their legacy. They work hard to grow and scale. Others view their greatest impact as what they leave behind within the community. It is the steps they take to make the community better than they found it. Do you hope to leave an imprint? Do you plan to achieve incredible goals? Many of our members look to find the good and praise it. They volunteer, give away their time, providing discounts on products or services, or simply give their knowledge. They work to support charities, children's activities, and seniors. They listen, learn, and act to help others in our community to achieve their goals or meet their needs. 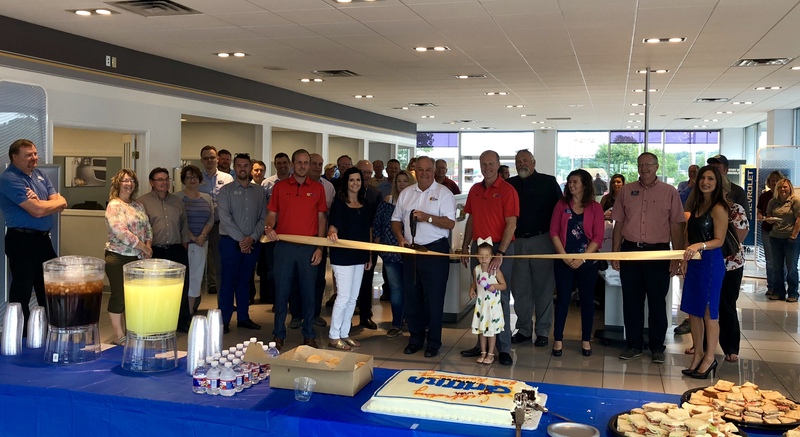 Today we celebrated Griffith Motor Company's 85th Anniversary with a Ribbon Cutting. This family has definitely built a legacy in Neosho and as Owner Jerry Griffith said today, they hope to continue for many generations to come. As the Chamber of Commerce, we're proud of the business's efforts to take these steps. We encourage every member to take another look inside to find out they can build a legacy.